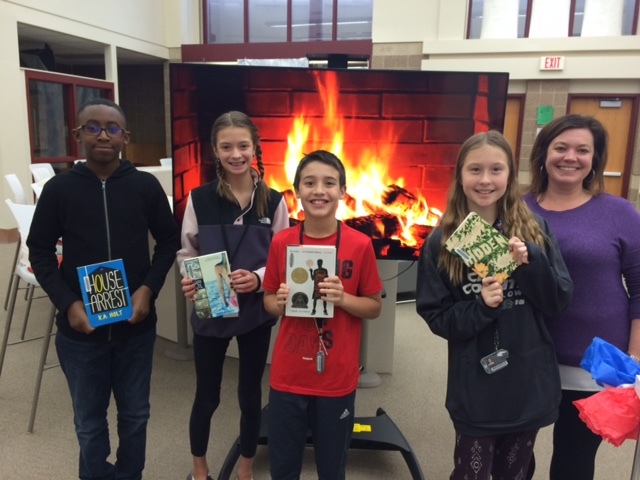 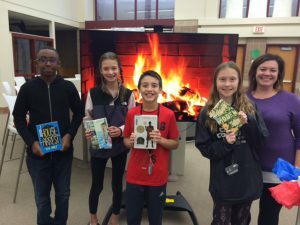 Students at Marlowe Middle School recently participated in a “book tasting,” sampling a variety of books to potentially read in full in class. 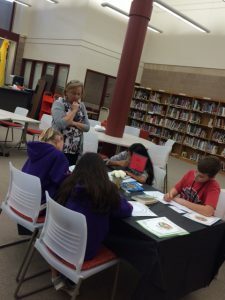 The pictures below are from Mrs. Ratkowski’s 6th grade literacy class. 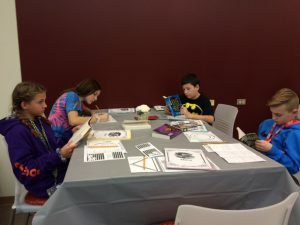 The book tasting was held as a means to review five Verse Novels as potential books to read in an upcoming book club that will take place in class. 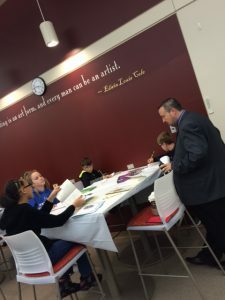 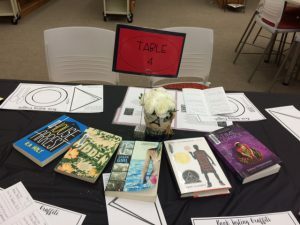 In the book tasting, students are seated around a table and are served books, which they sample by reading for a few minutes before rotating. 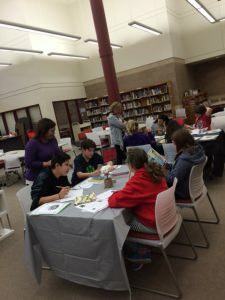 Similar to a food tasting that helps people discover new foods they may enjoy, book tastings help expose students to new authors, genres, and series.